I just returned from the eleventh Gathering for Gardner. 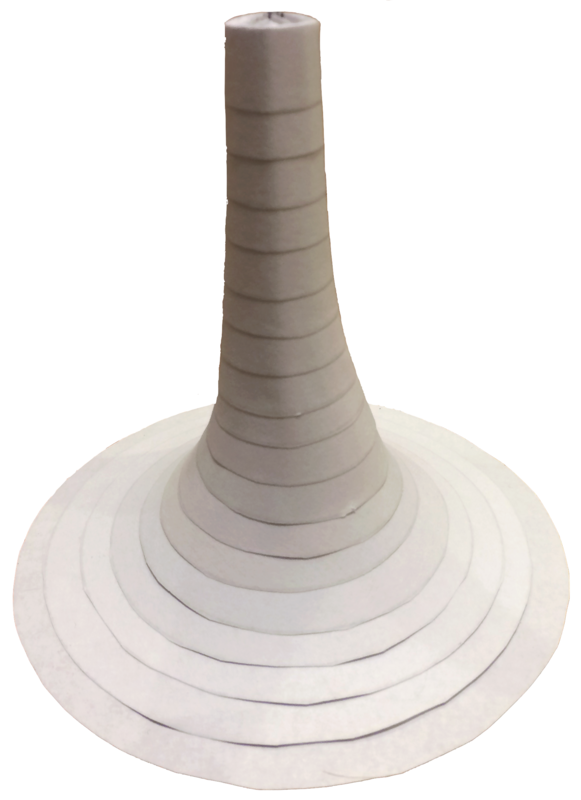 One of the many special things about this unusual conference is that the attendees are strongly encouraged to participate in the “gift exchange.” We were each asked to bring a physical exchange item (one for each of the 350 conference-goers) or to submit a written contribution. The bag of gifts that I received at the end of the conference was amazing. It contained exotic dice, clever puzzles, unique playing cards, mathematical earrings, 3d printed objects, cool pencils, puzzle books, artwork, etc. Nearly all of the gifts were handmade. We haven’t received the written gifts yet. What a fantastic idea! 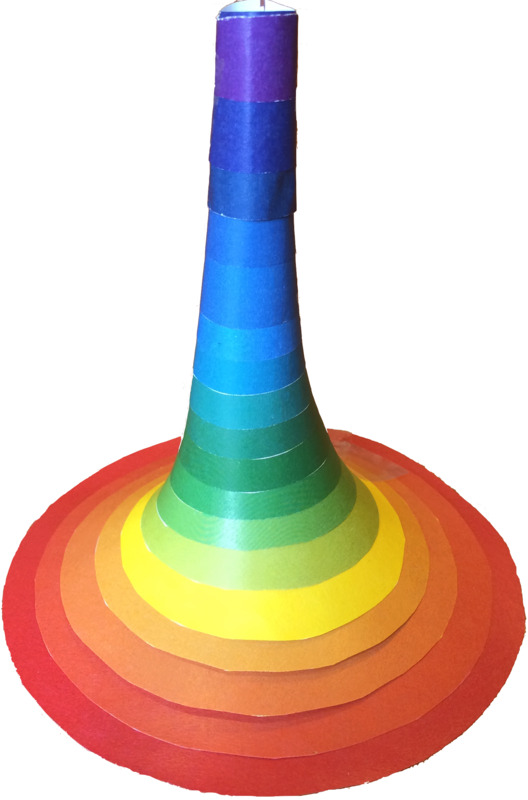 Photos of the paper horn (in white and in rainbow) and a photo of the cones are shown below. I’m linking to a pdf copy of the article here in case you want to make one. 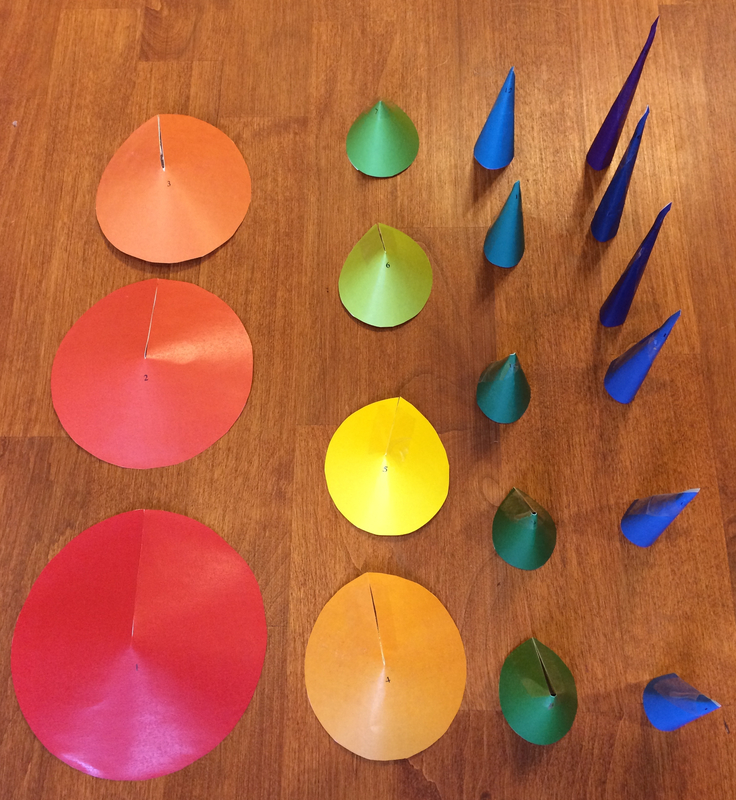 Note: my inspiration was this blog post by Dan Walsh in which he makes a pseudosphere out of cones.